Native to eastern North America. Long stalks with heart-shaped glossy green leaves that stand well above the surface. The word "cordata" is a Latin adjective meaning "heart-shaped." The leaf shape varies considerably across populations, within populations and even within individuals. 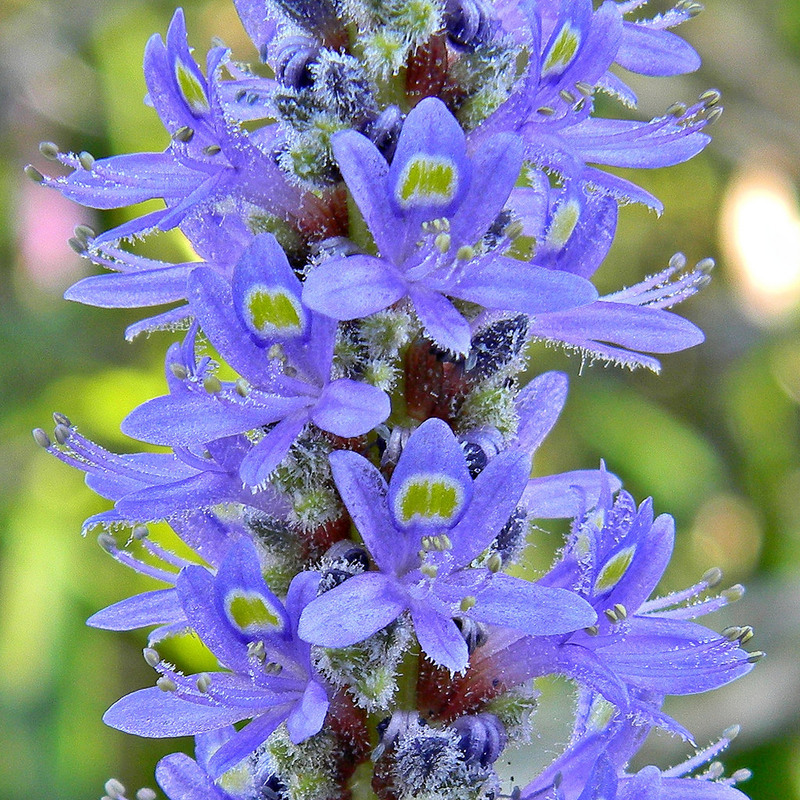 Blooms late spring to fall with short spikes of blue flowers. Pink- and white-flowered forms are available. 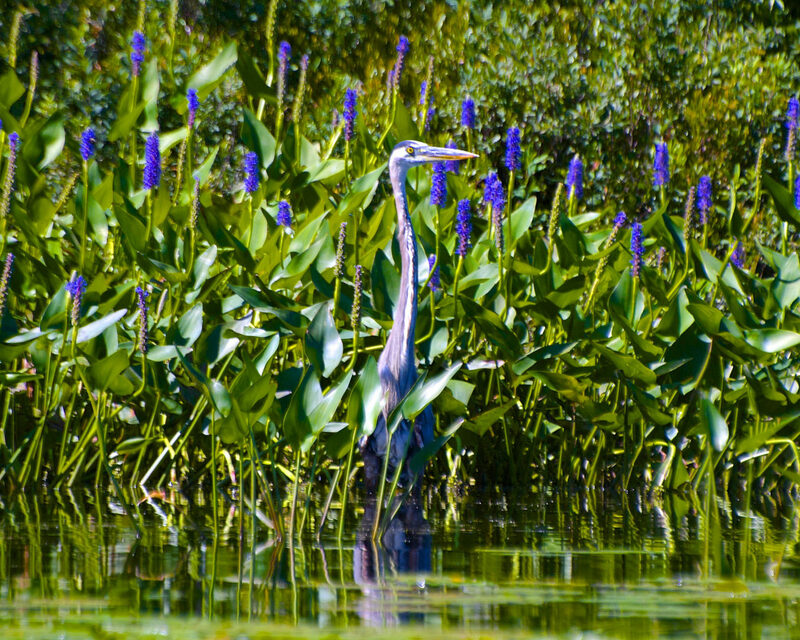 It is often grown as a companion to water lilies. Plant in pots of rich soil placed in 1 ft. of water. 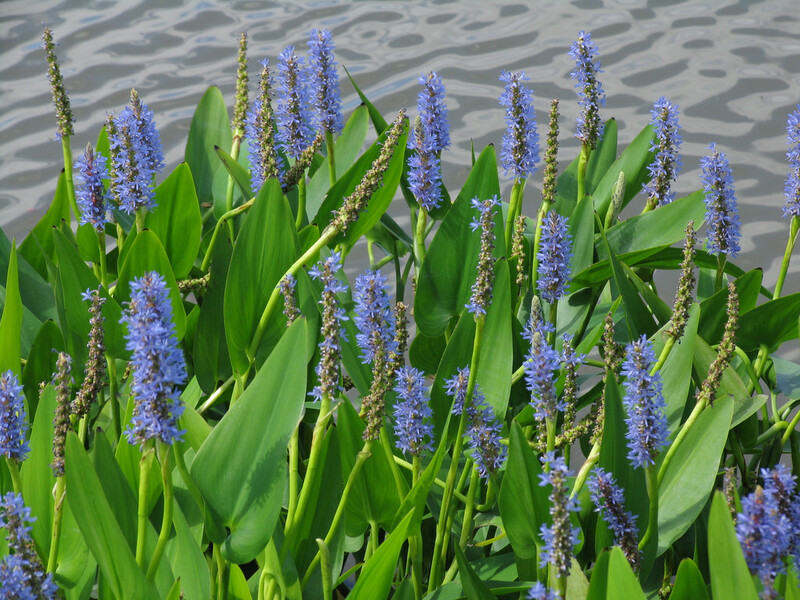 This plant is a good substitute to water hyacinth (Eichhornia crassipes) if looking for similar flower shape and color. It is an emergent aquatic and not a free-floating one, however. 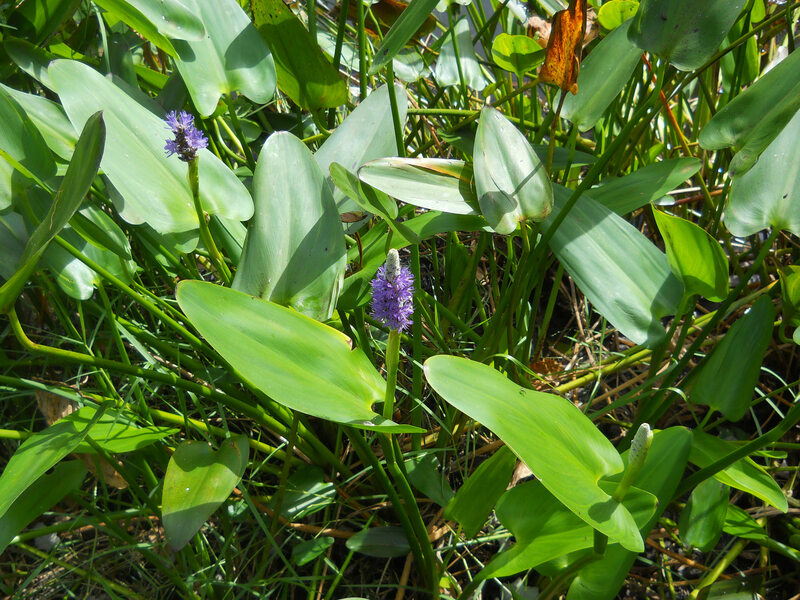 It can also spread vegetatively downstream, but with much less vigor than water hyacinth. Do not dispose of any plants in a waterway.